How are you Malaysian recovering from our 13th General Election? I think Malaysia has never been more united! 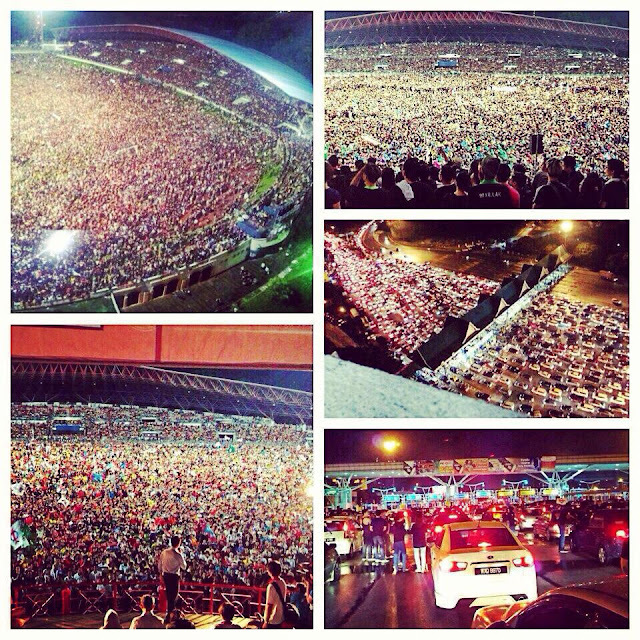 Now this is what you call ONE MALAYSIA! Just look at the massive crowd that assembled at Kelana Jaya stadium!!! were going to stop Malaysians that night! So i guess he represented our family. Hah! Splash of colors to brighten up any day! No more boring mute/dark colored office wear! Malaysian don't give up hope! Nobody can stop us then!